The walls are decorated with portraits of television stars past and present. 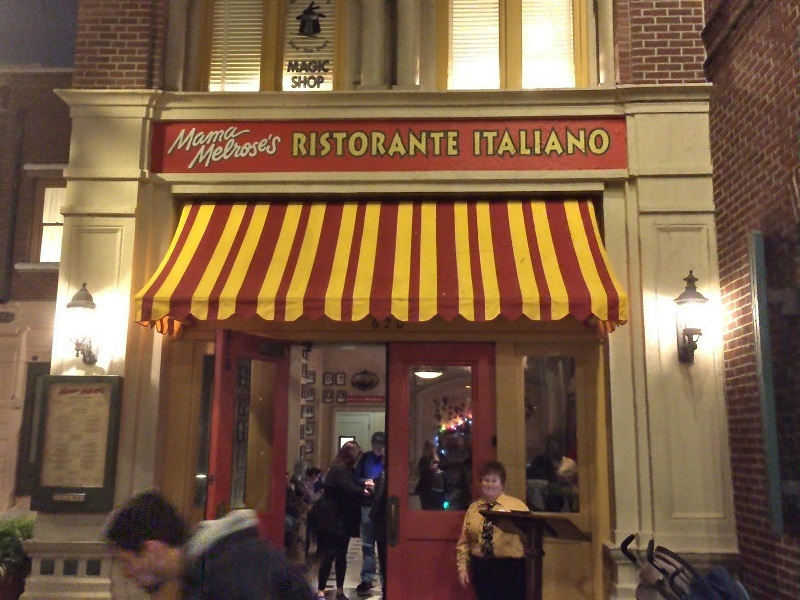 The kitschy décor combines with a good Italian menu including both wood-fired pizzas and pasta dishes to make for a guest favorite at the Studios. The menu and prices are the same for lunch and dinner. Location: In the far corner of the Muppet Courtyard, directly across from the Stage 1 Company Store. Reservations: Yes. Online or call (407) 939-3463 up to 180 days in advance. Choose one beverage (lowfat milk, water, or apple juice) and one dessert. At this location: This location opened as a restaurant on June 15, 1991, with the Studio Pizzeria. It was a short-lived pizza restaurant, closing 15 months later and converting into Mama Melrose's. The Attraction's History: The restaurant remains mostly unchanged since it opened in September 1992.